OMAHA, Neb. 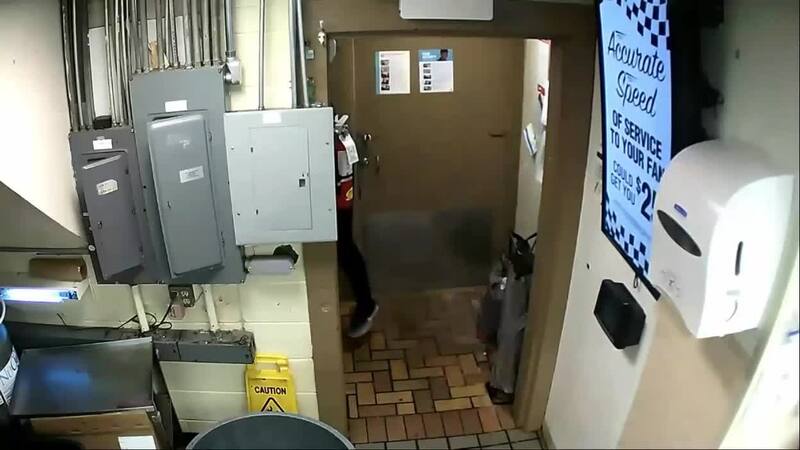 (KMTV) — The Omaha Police Department is asking for the public's help in identifying a man who attempted to rob a Dairy Queen on Monday. Omaha Police responded to the Dairy Queen at 404 South 114th Street at 9:42 a.m. to investigate a robbery. Officers spoke to an employee who said she was confronted by a black male, dressed in all black and armed with a gun. This occurred near the cooler in the store. The male then demanded money from the safe, according to a press release from OPD. The employee said she could not open the safe. The suspect then escorted the employee outside of the restaurant, saw another employee arriving and fled in a waiting vehicle. The investigation is ongoing. Anyone with information is asked to contact Omaha Crime Stoppers at 402-444-STOP. Thanks to OPD for the video.